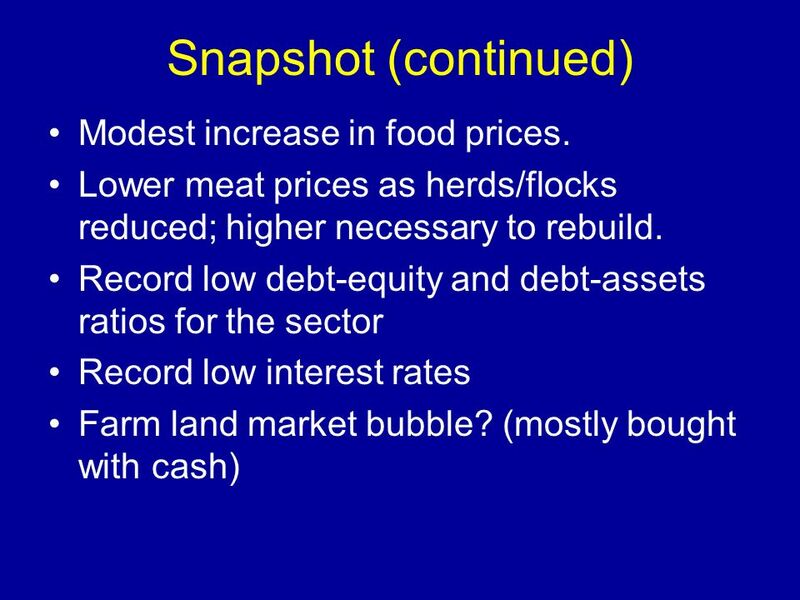 6 Snapshot (continued) Modest increase in food prices. Disaster assistance for livestock, tree and fruit producers for drought damage. Consolidated and streamlined some conservation programs House reduced food stamp (SNAP) cost Reauthorized 37 mainly energy, rural development, and horticulture programs whose funding expired 9/30/12. 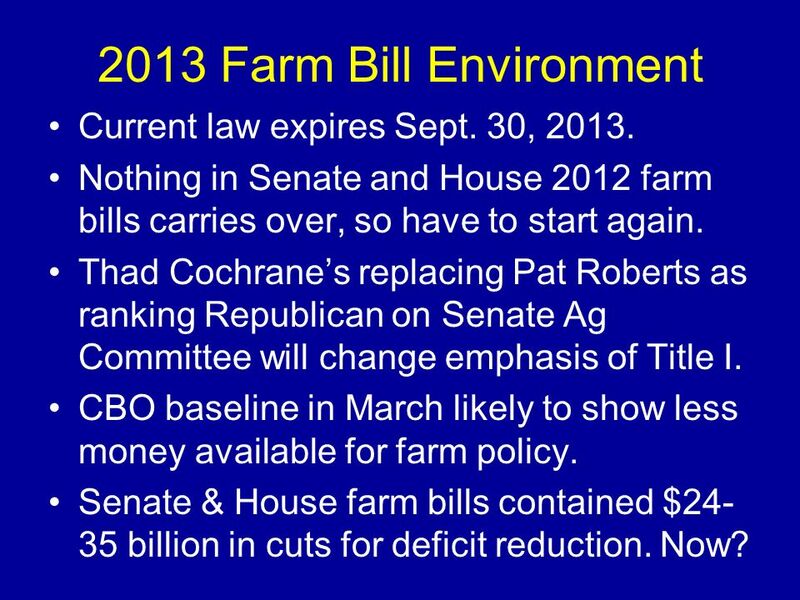 12 2013 Farm Bill Environment Current law expires Sept. 30, 2013. 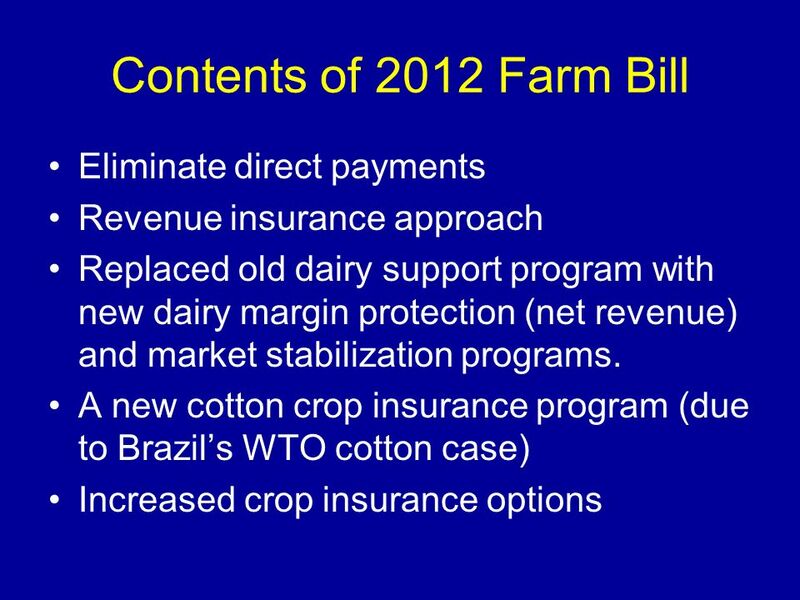 Nothing in Senate and House 2012 farm bills carries over, so have to start again. Thad Cochrane’s replacing Pat Roberts as ranking Republican on Senate Ag Committee will change emphasis of Title I. CBO baseline in March likely to show less money available for farm policy. Senate & House farm bills contained $24-35 billion in cuts for deficit reduction. Now? 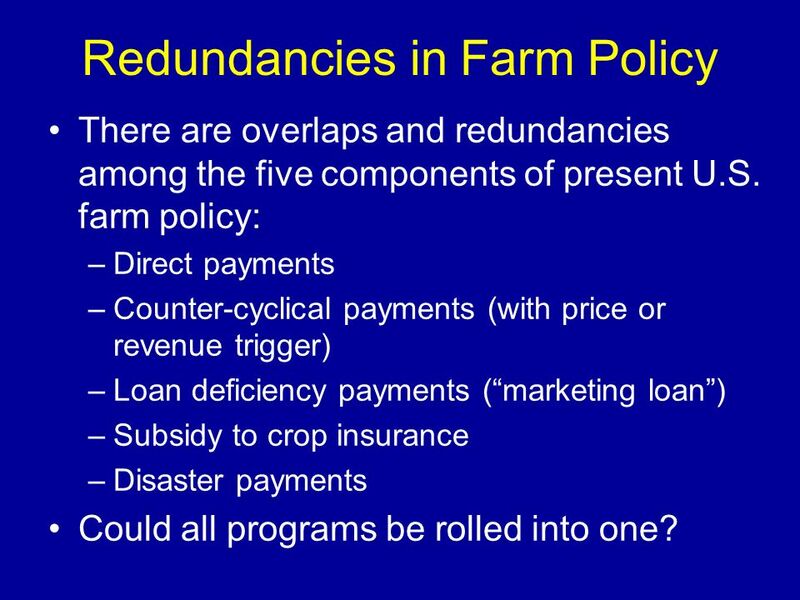 There are overlaps and redundancies among the five components of present U.S. farm policy: Direct payments Counter-cyclical payments (with price or revenue trigger) Loan deficiency payments (“marketing loan”) Subsidy to crop insurance Disaster payments Could all programs be rolled into one? 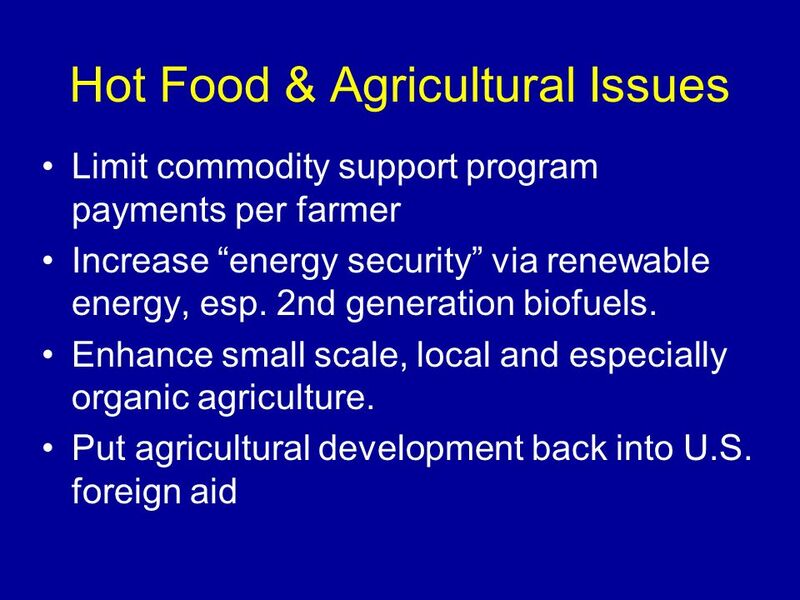 14 Why Government Involvement in Ag? 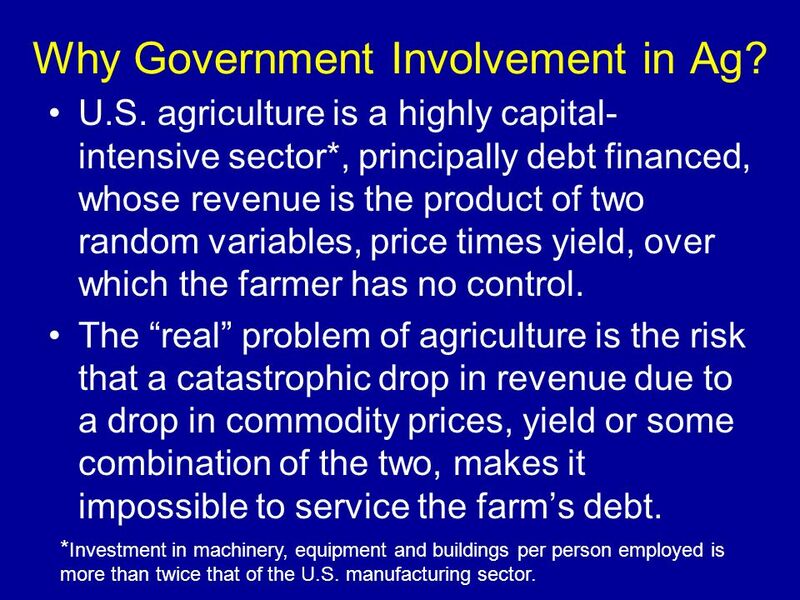 U.S. agriculture is a highly capital- intensive sector*, principally debt financed, whose revenue is the product of two random variables, price times yield, over which the farmer has no control. The “real” problem of agriculture is the risk that a catastrophic drop in revenue due to a drop in commodity prices, yield or some combination of the two, makes it impossible to service the farm’s debt. 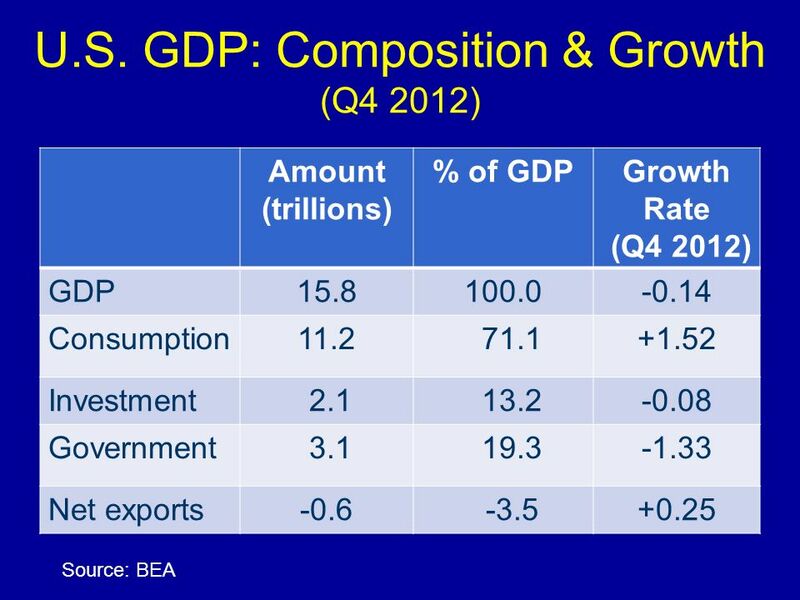 *Investment in machinery, equipment and buildings per person employed is more than twice that of the U.S. manufacturing sector. Of the public investments allocated to agriculture and rural areas, how much should go to farmers as individuals & how much should be invested for the greater good of agriculture and the rural areas? 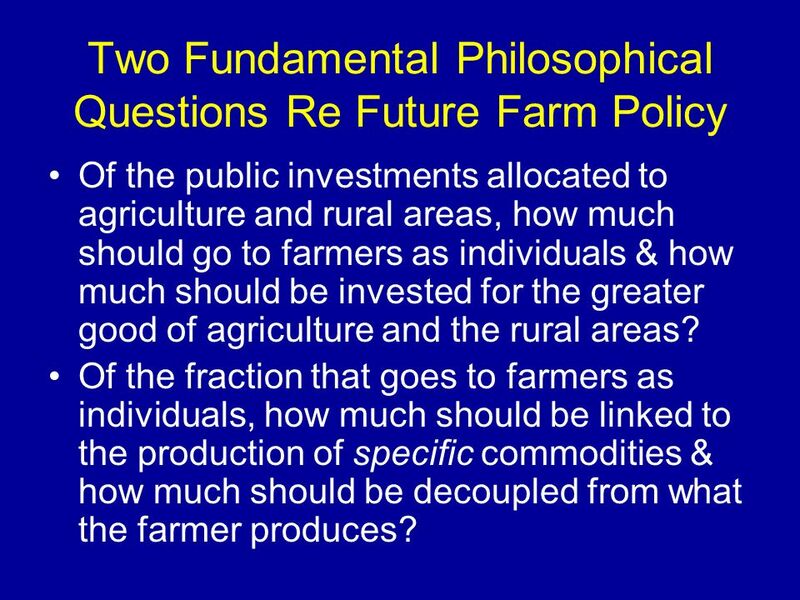 Of the fraction that goes to farmers as individuals, how much should be linked to the production of specific commodities & how much should be decoupled from what the farmer produces? 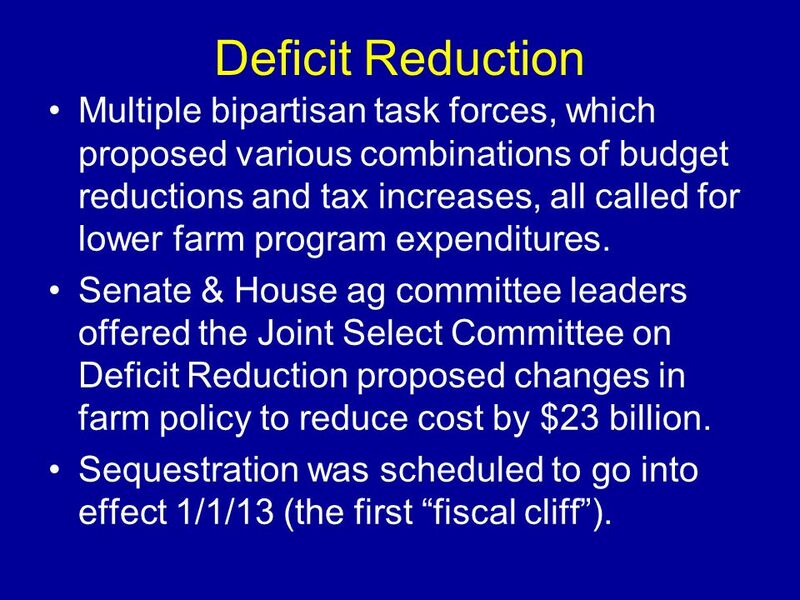 18 Deficit Reduction Multiple bipartisan task forces, which proposed various combinations of budget reductions and tax increases, all called for lower farm program expenditures. Senate & House ag committee leaders offered the Joint Select Committee on Deficit Reduction proposed changes in farm policy to reduce cost by $23 billion. 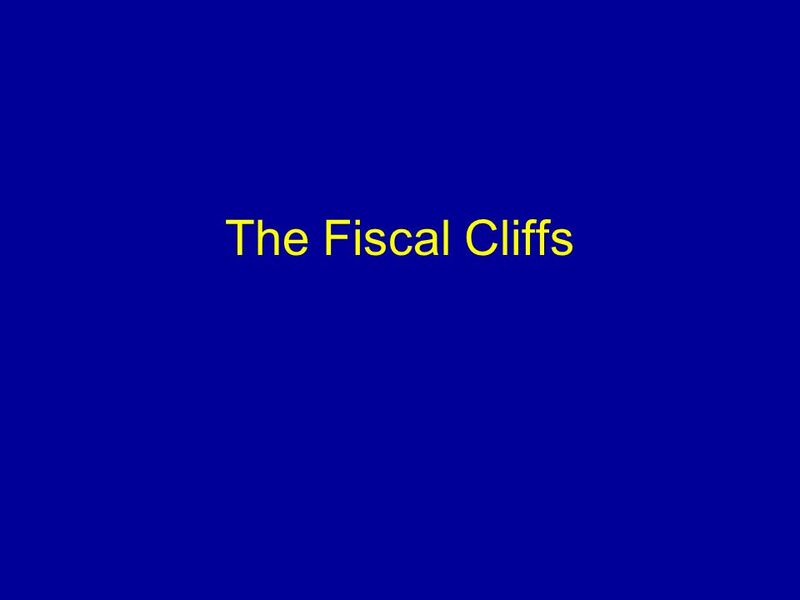 Sequestration was scheduled to go into effect 1/1/13 (the first “fiscal cliff”). Permanently extended lower tax rates except for high income taxpayers. Permanently revised Alternative Minimum Tax (AMT) and indexed it to inflation. 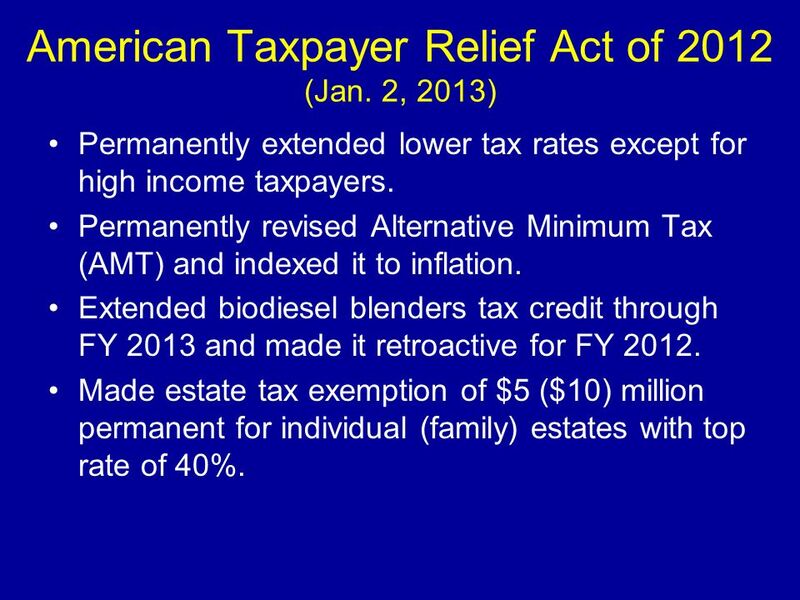 Extended biodiesel blenders tax credit through FY 2013 and made it retroactive for FY 2012. Made estate tax exemption of $5 ($10) million permanent for individual (family) estates with top rate of 40%. 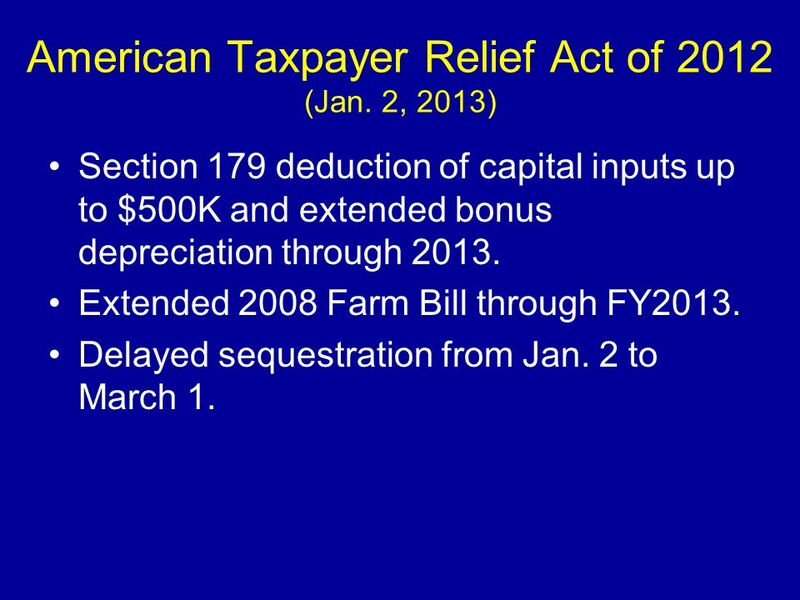 Section 179 deduction of capital inputs up to $500K and extended bonus depreciation through 2013. 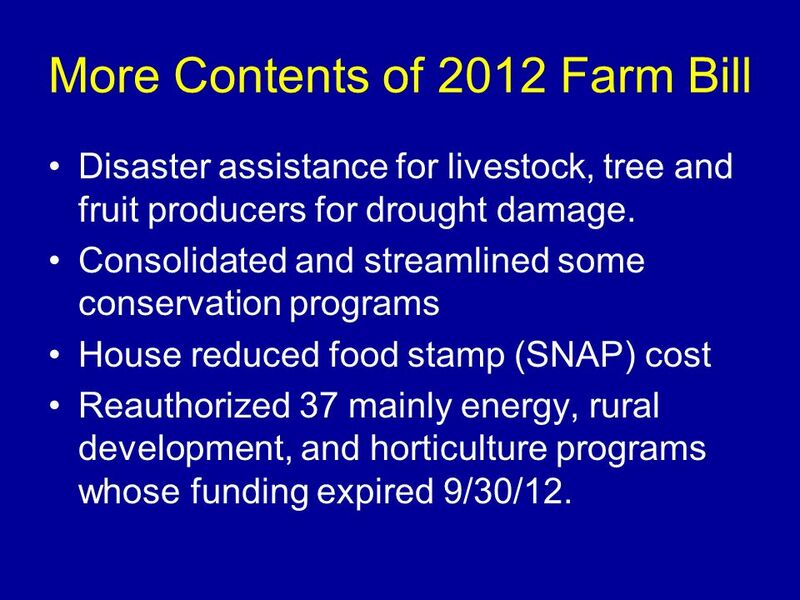 Extended 2008 Farm Bill through FY2013. Delayed sequestration from Jan. 2 to March 1. 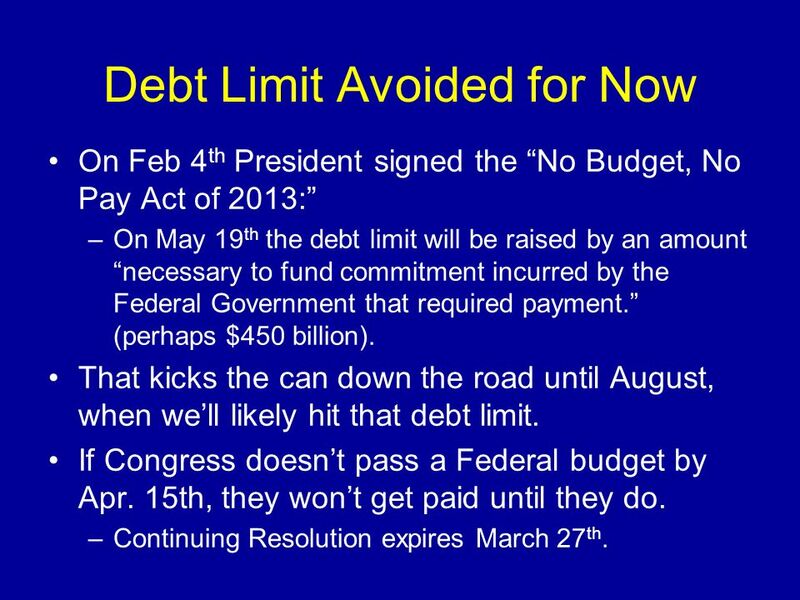 On Feb 4th President signed the “No Budget, No Pay Act of 2013:” On May 19th the debt limit will be raised by an amount “necessary to fund commitment incurred by the Federal Government that required payment.” (perhaps $450 billion). That kicks the can down the road until August, when we’ll likely hit that debt limit. If Congress doesn’t pass a Federal budget by Apr. 15th, they won’t get paid until they do. Continuing Resolution expires March 27th. 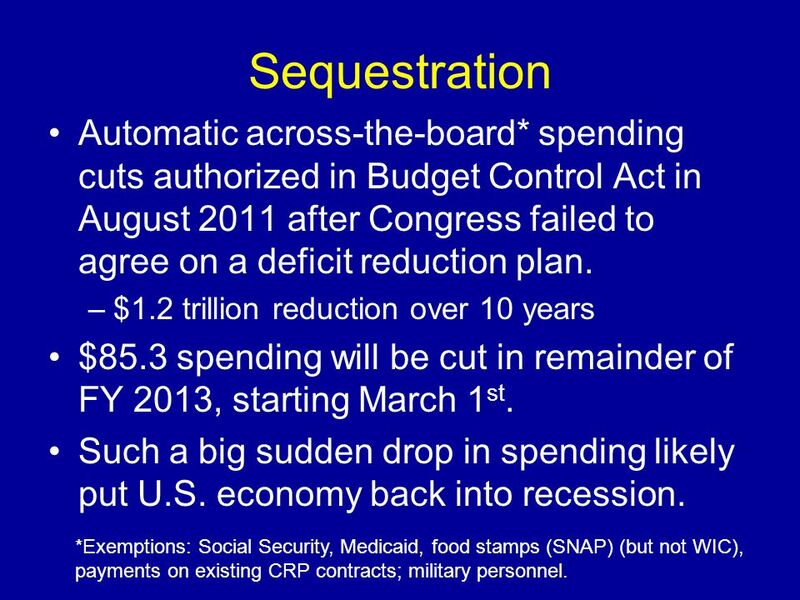 22 Sequestration Automatic across-the-board* spending cuts authorized in Budget Control Act in August 2011 after Congress failed to agree on a deficit reduction plan. 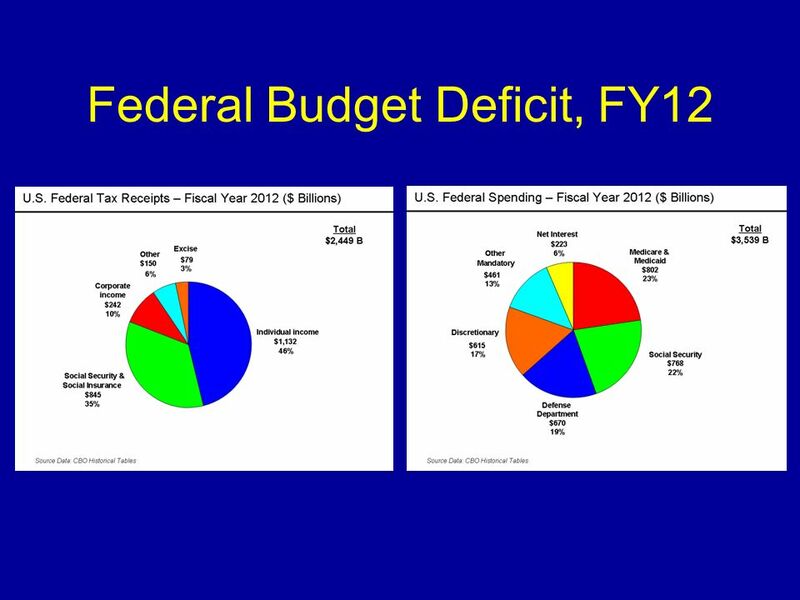 $1.2 trillion reduction over 10 years $85.3 spending will be cut in remainder of FY 2013, starting March 1st. Such a big sudden drop in spending likely put U.S. economy back into recession. *Exemptions: Social Security, Medicaid, food stamps (SNAP) (but not WIC), payments on existing CRP contracts; military personnel. 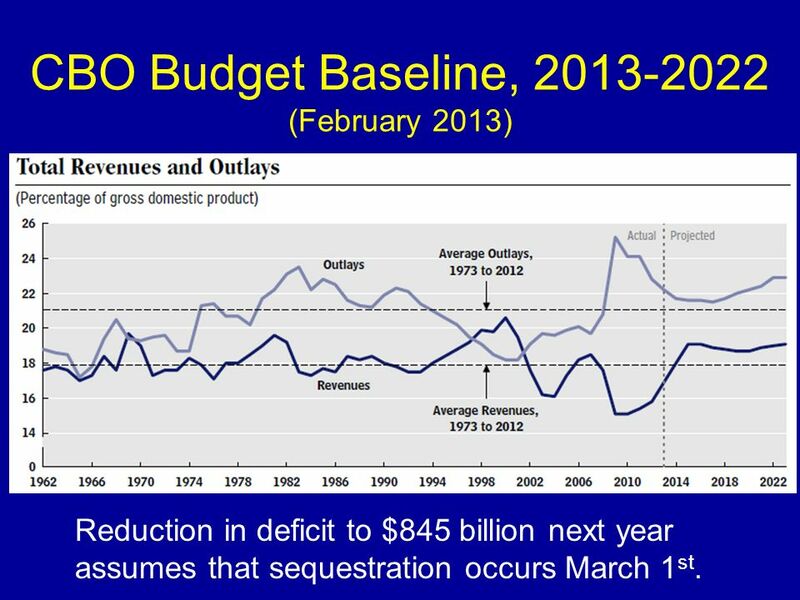 Reduction in deficit to $845 billion next year assumes that sequestration occurs March 1st. 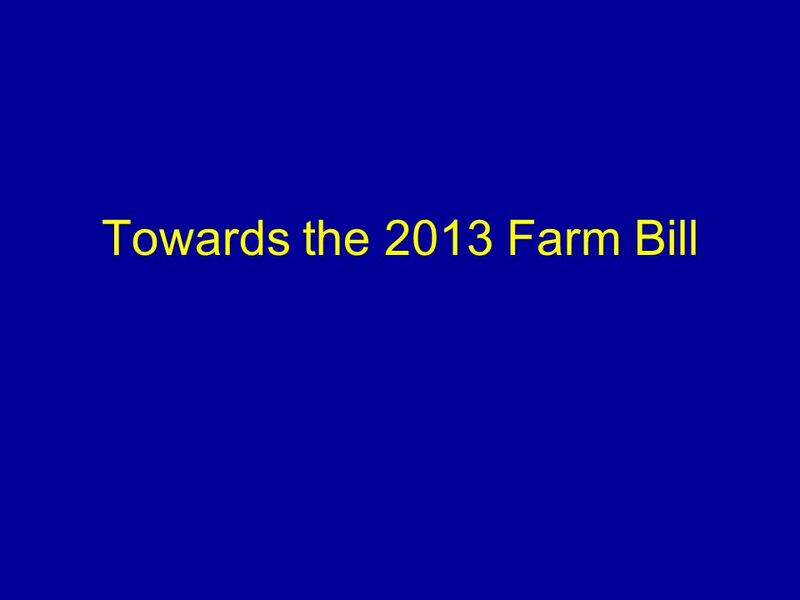 24 Questions How much budget savings must come from 2013 farm bill? 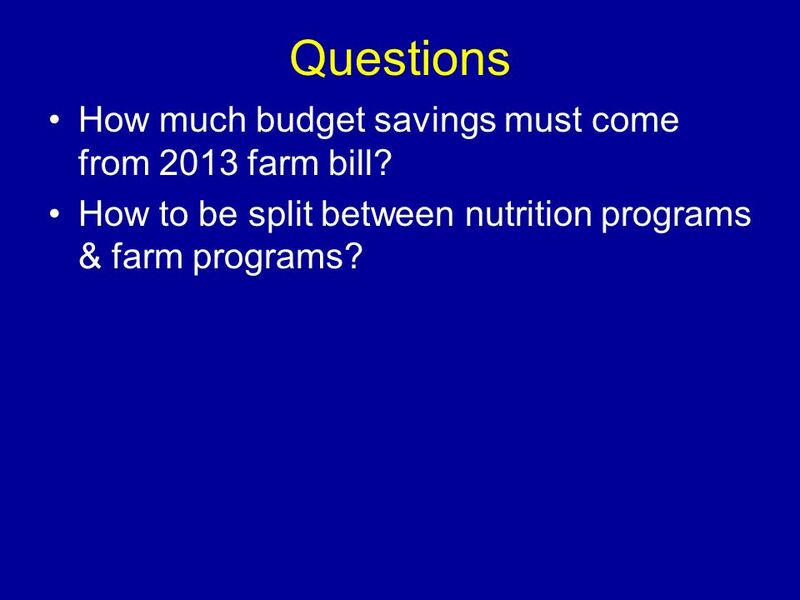 How to be split between nutrition programs & farm programs? Region 2012 2050 Change Percent World 7,058 9,624 +2,566 + 36 High Income 1,243 1,338 + 8 Low Income 5,814 8,286 +2,472 + 43 East & S.E. 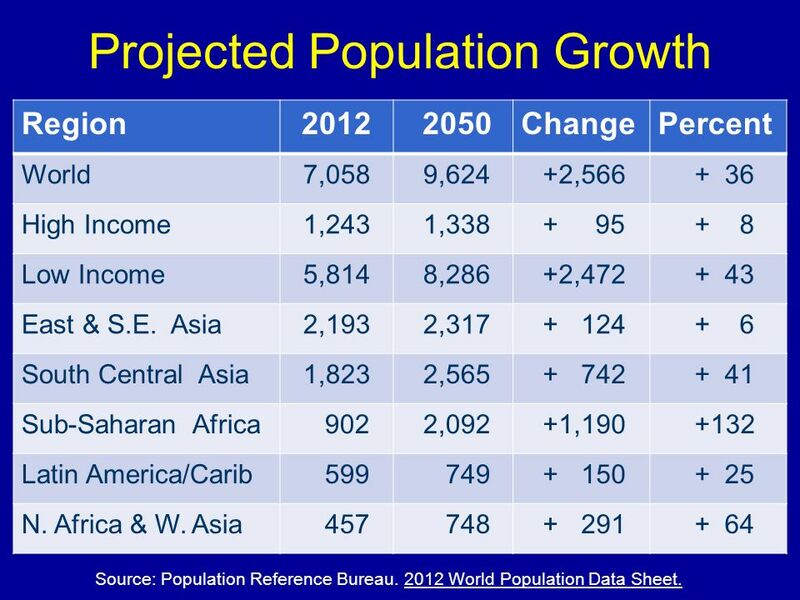 Asia 2,193 2,317 + 6 South Central Asia 1,823 2,565 + 41 Sub-Saharan Africa 902 2,092 +1,190 +132 Latin America/Carib 599 749 + 25 N. Africa & W. Asia 457 748 + 64 Source: Population Reference Bureau World Population Data Sheet. 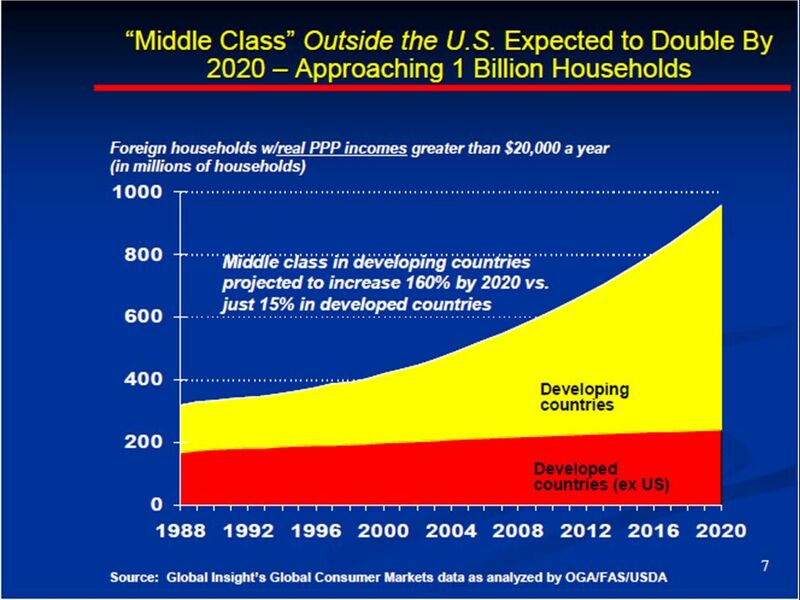 1.4 billion people live on less that $1.25/day 1 billion cannot afford 1,800 calories per day. 2.6 billion people live on less than $2.00/day At $2.00 per day most hunger (calorie) problems solved, but 1 billion still suffer nutritional deficiencies. 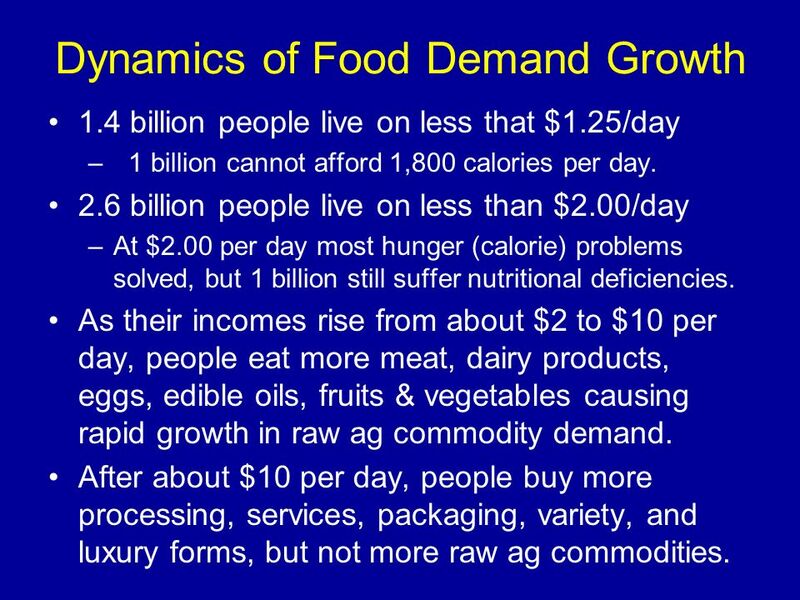 As their incomes rise from about $2 to $10 per day, people eat more meat, dairy products, eggs, edible oils, fruits & vegetables causing rapid growth in raw ag commodity demand. After about $10 per day, people buy more processing, services, packaging, variety, and luxury forms, but not more raw ag commodities. 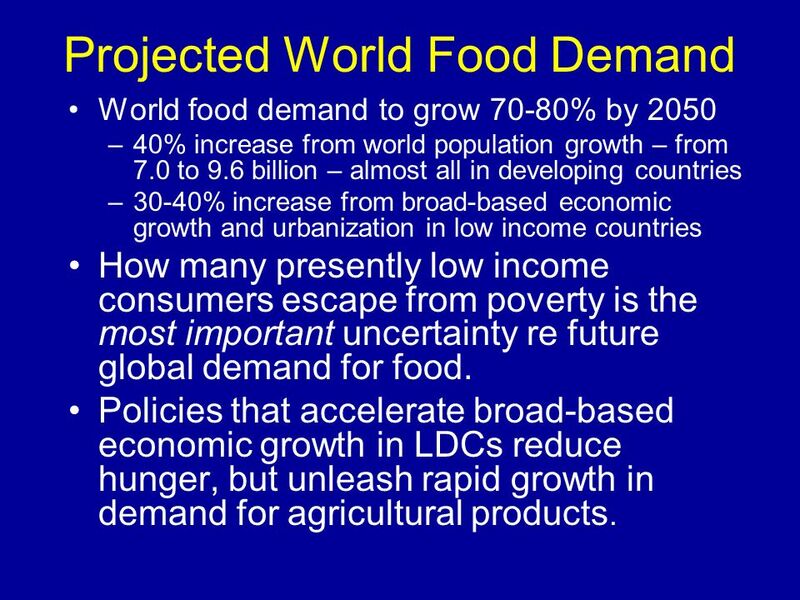 World food demand to grow 70-80% by 2050 40% increase from world population growth – from 7.0 to 9.6 billion – almost all in developing countries 30-40% increase from broad-based economic growth and urbanization in low income countries How many presently low income consumers escape from poverty is the most important uncertainty re future global demand for food. Policies that accelerate broad-based economic growth in LDCs reduce hunger, but unleash rapid growth in demand for agricultural products. 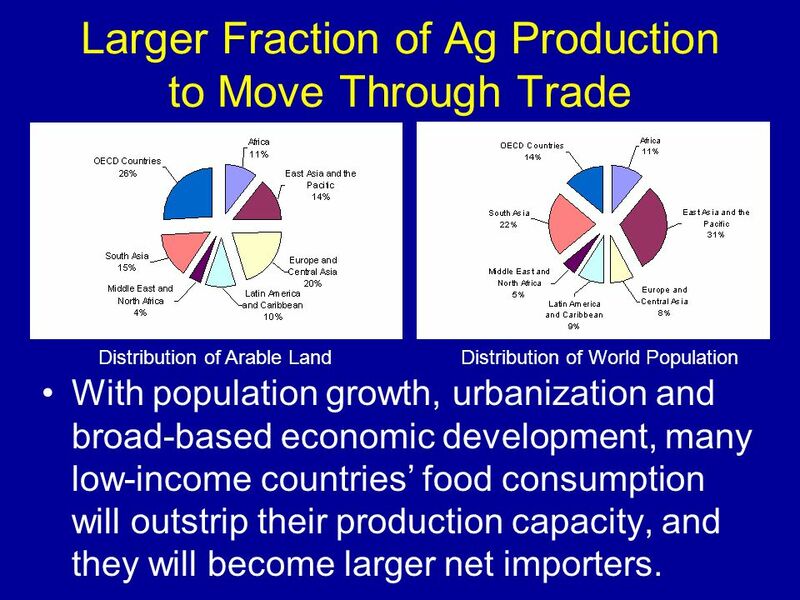 Distribution of Arable Land Distribution of World Population With population growth, urbanization and broad-based economic development, many low-income countries’ food consumption will outstrip their production capacity, and they will become larger net importers. The area of land in farm production could be doubled… But only by massive destruction of forests and loss of wildlife habitat, biodiversity and carbon sequestration capacity The only environmentally sustainable alternative is to double productivity on the fertile, non-erodible soils already in crop production. 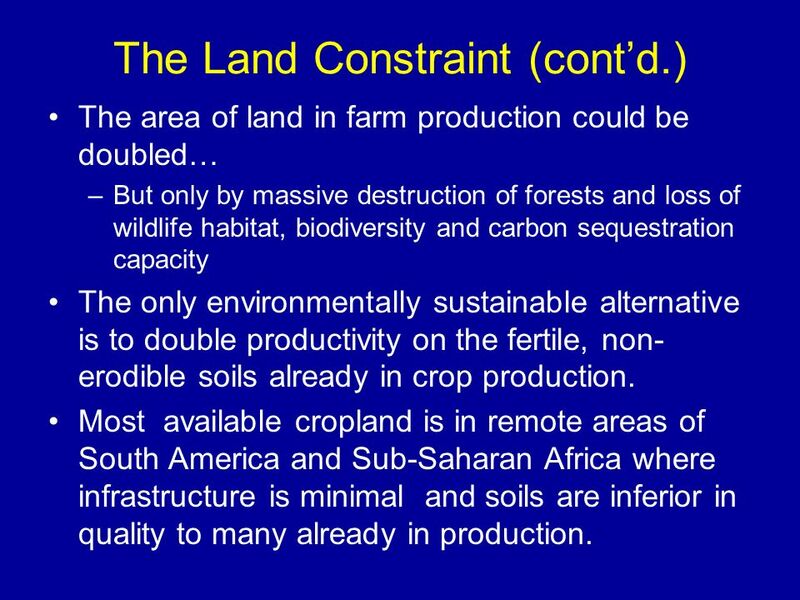 Most available cropland is in remote areas of South America and Sub-Saharan Africa where infrastructure is minimal and soils are inferior in quality to many already in production. 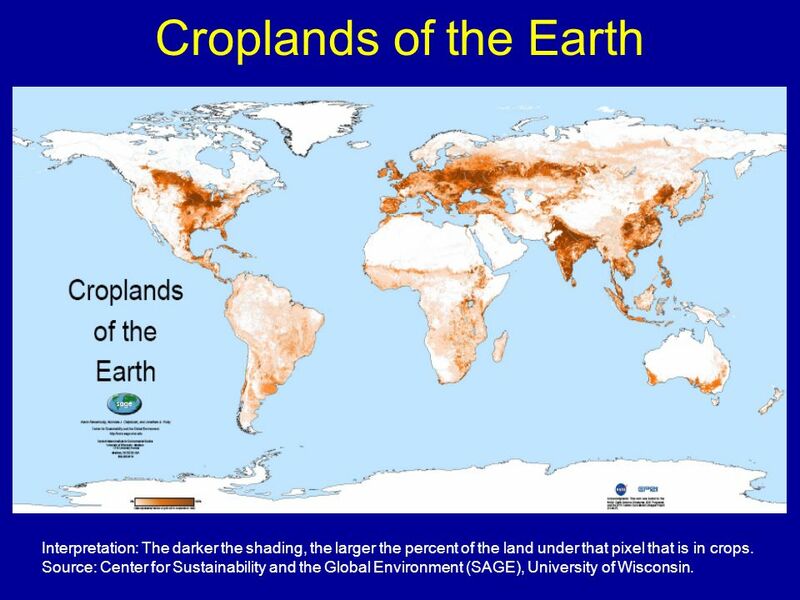 33 Croplands of the Earth Interpretation: The darker the shading, the larger the percent of the land under that pixel that is in crops. 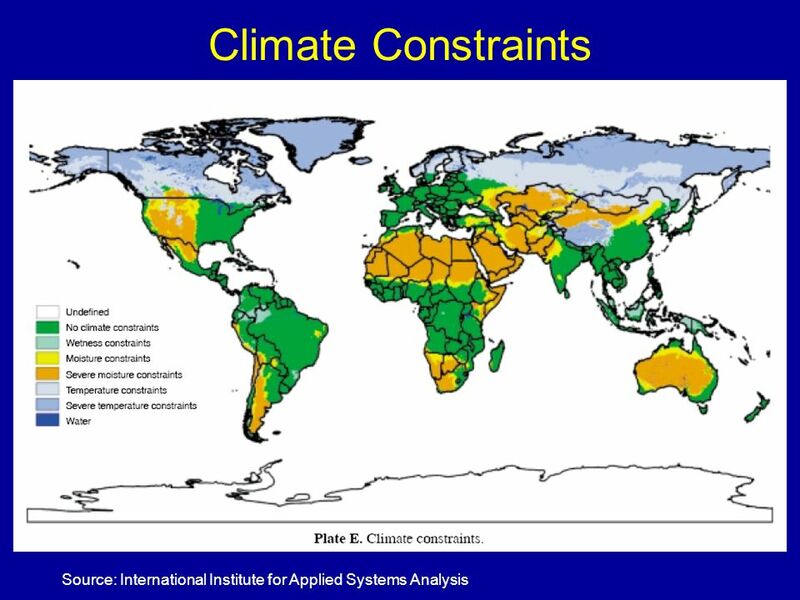 Source: Center for Sustainability and the Global Environment (SAGE), University of Wisconsin. Warming greater over land than over water and greatest at higher latitudes. 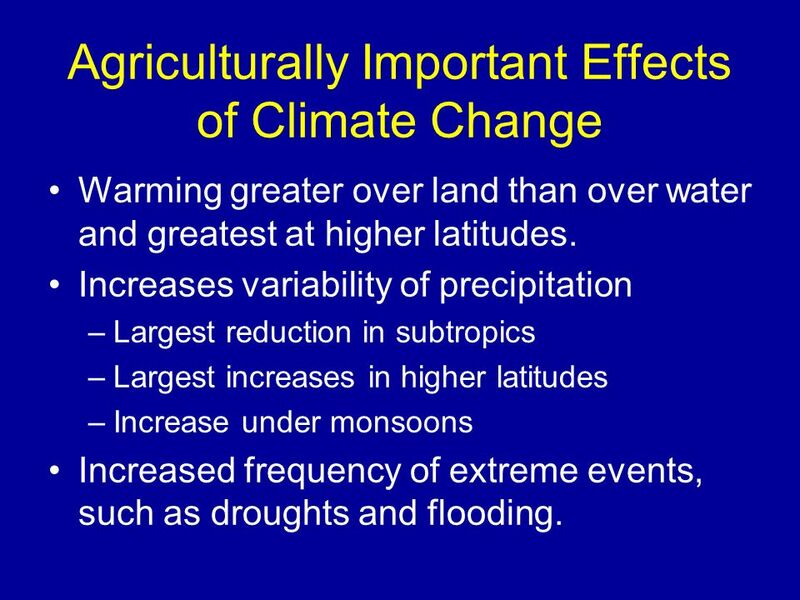 Increases variability of precipitation Largest reduction in subtropics Largest increases in higher latitudes Increase under monsoons Increased frequency of extreme events, such as droughts and flooding. 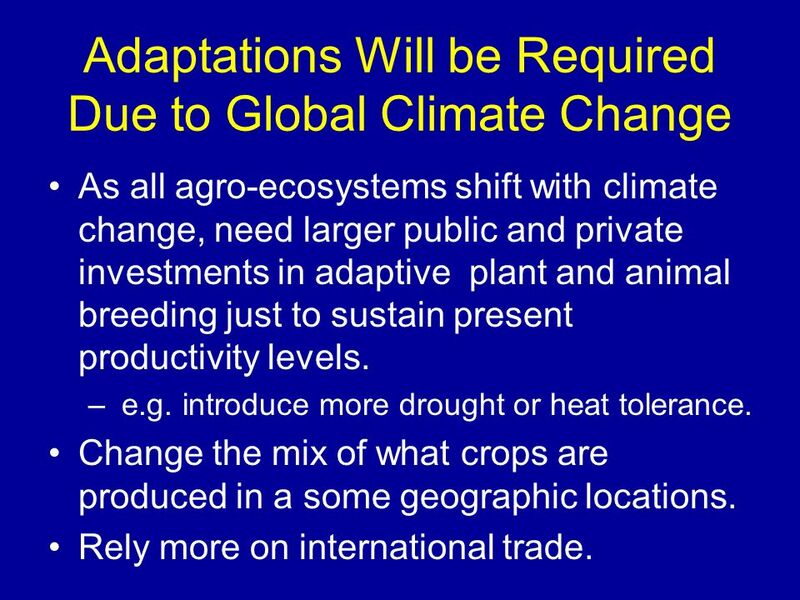 As all agro-ecosystems shift with climate change, need larger public and private investments in adaptive plant and animal breeding just to sustain present productivity levels. e.g. 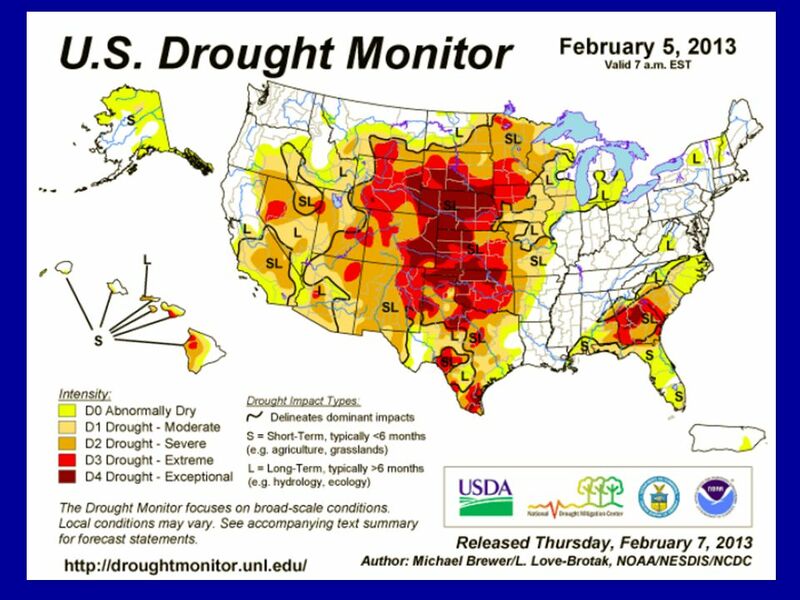 introduce more drought or heat tolerance. Change the mix of what crops are produced in a some geographic locations. 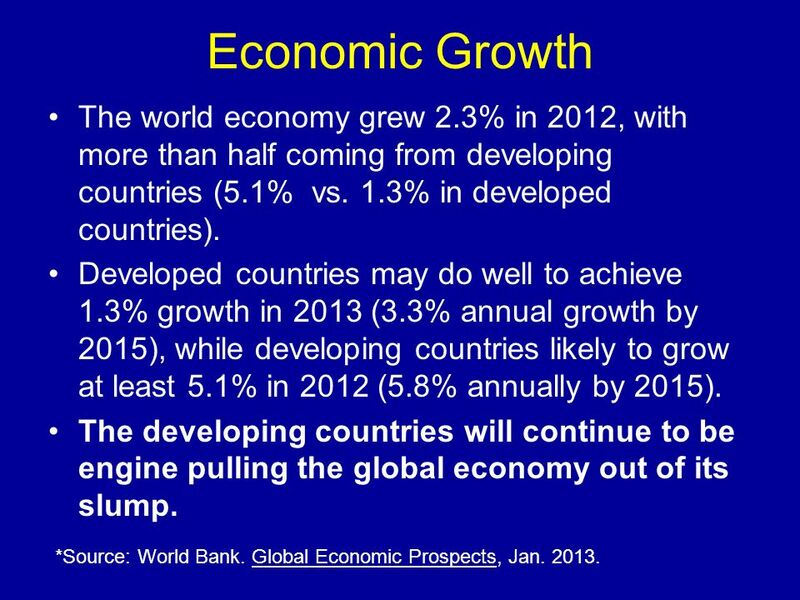 Rely more on international trade. 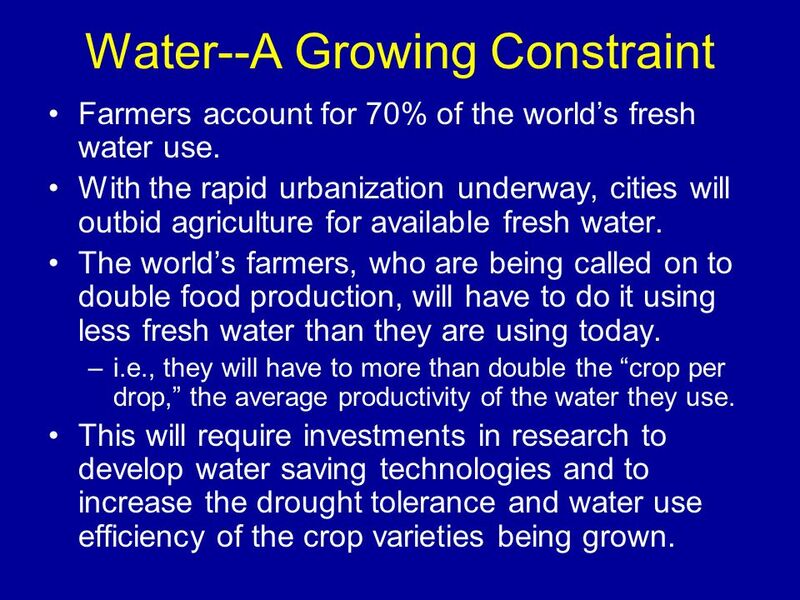 Farmers account for 70% of the world’s fresh water use. With the rapid urbanization underway, cities will outbid agriculture for available fresh water. The world’s farmers, who are being called on to double food production, will have to do it using less fresh water than they are using today. 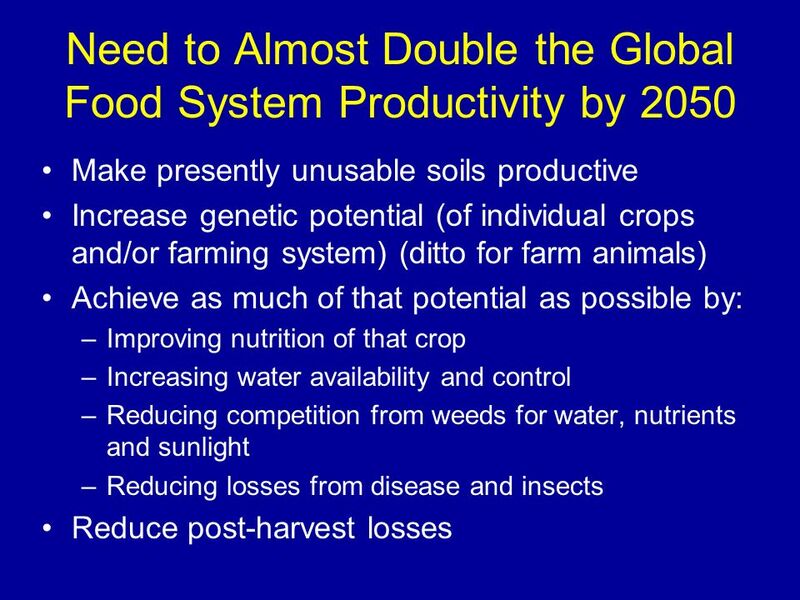 i.e., they will have to more than double the “crop per drop,” the average productivity of the water they use. This will require investments in research to develop water saving technologies and to increase the drought tolerance and water use efficiency of the crop varieties being grown. 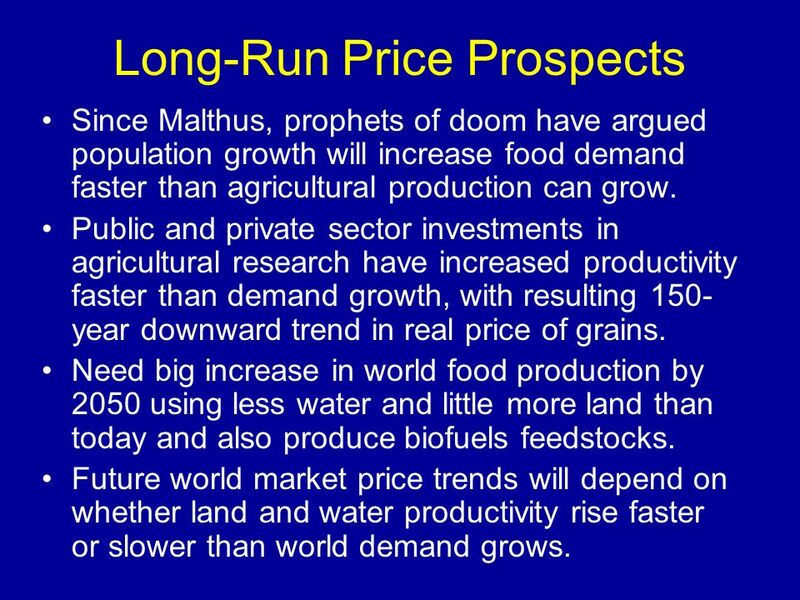 Since Malthus, prophets of doom have argued population growth will increase food demand faster than agricultural production can grow. Public and private sector investments in agricultural research have increased productivity faster than demand growth, with resulting 150- year downward trend in real price of grains. Need big increase in world food production by 2050 using less water and little more land than today and also produce biofuels feedstocks. 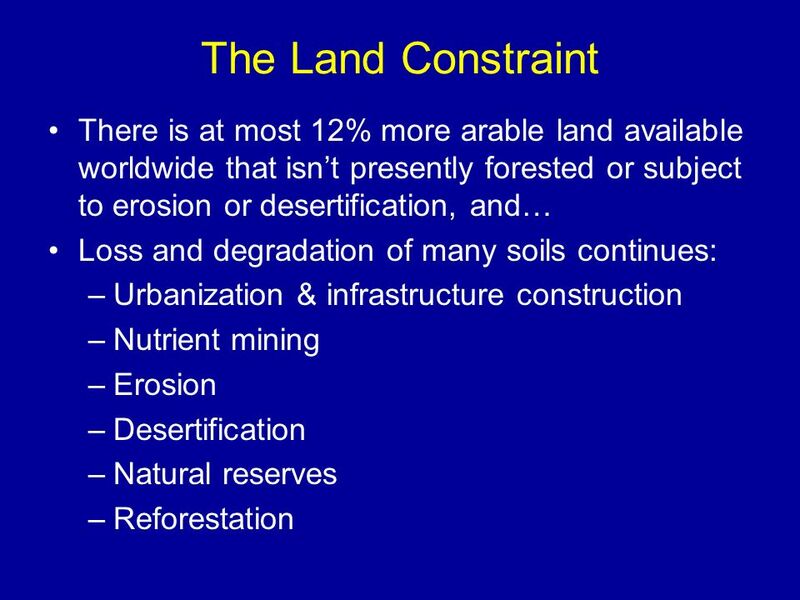 Future world market price trends will depend on whether land and water productivity rise faster or slower than world demand grows. 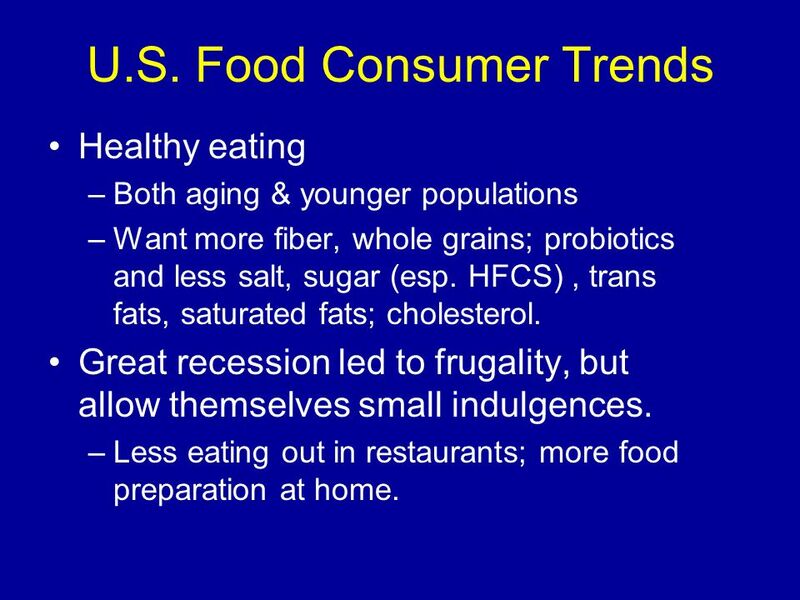 Healthy eating Both aging & younger populations Want more fiber, whole grains; probiotics and less salt, sugar (esp. HFCS) , trans fats, saturated fats; cholesterol. Great recession led to frugality, but allow themselves small indulgences. Less eating out in restaurants; more food preparation at home. 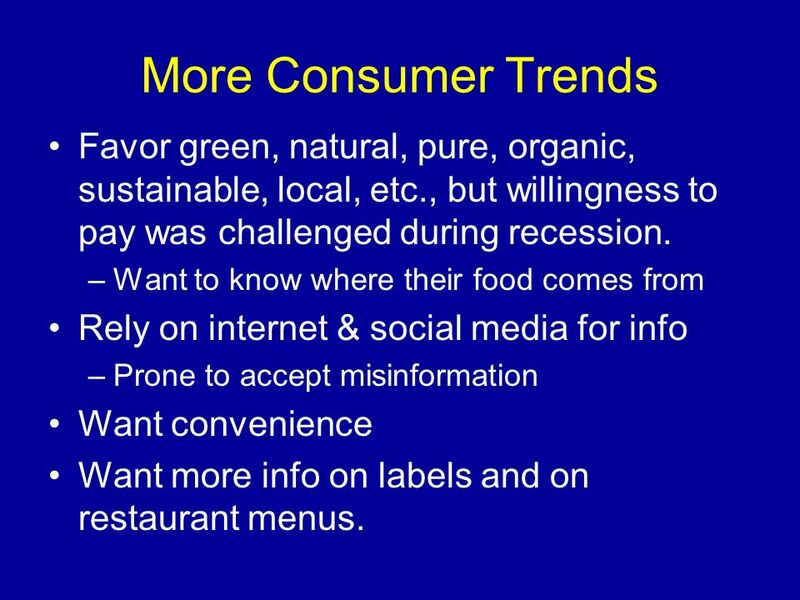 42 More Consumer Trends Favor green, natural, pure, organic, sustainable, local, etc., but willingness to pay was challenged during recession. Want to know where their food comes from Rely on internet & social media for info Prone to accept misinformation Want convenience Want more info on labels and on restaurant menus. 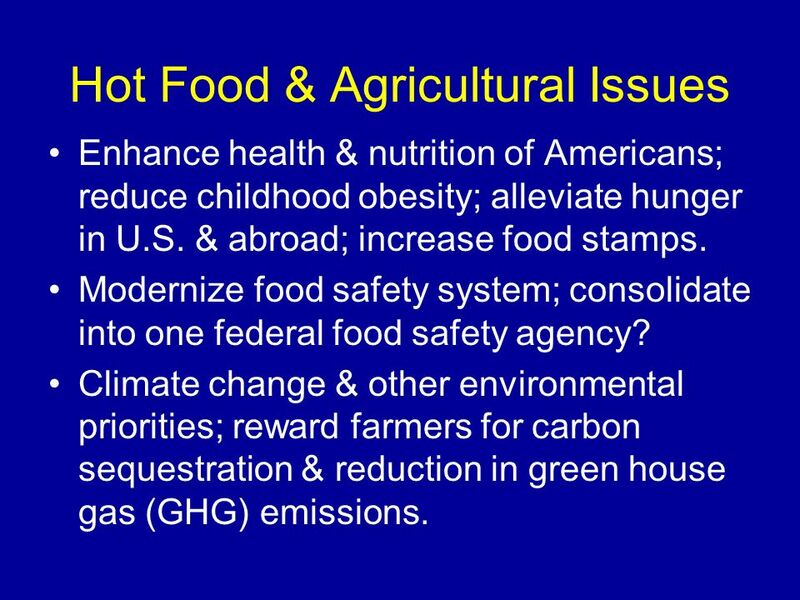 Enhance health & nutrition of Americans; reduce childhood obesity; alleviate hunger in U.S. & abroad; increase food stamps. Modernize food safety system; consolidate into one federal food safety agency? Climate change & other environmental priorities; reward farmers for carbon sequestration & reduction in green house gas (GHG) emissions. 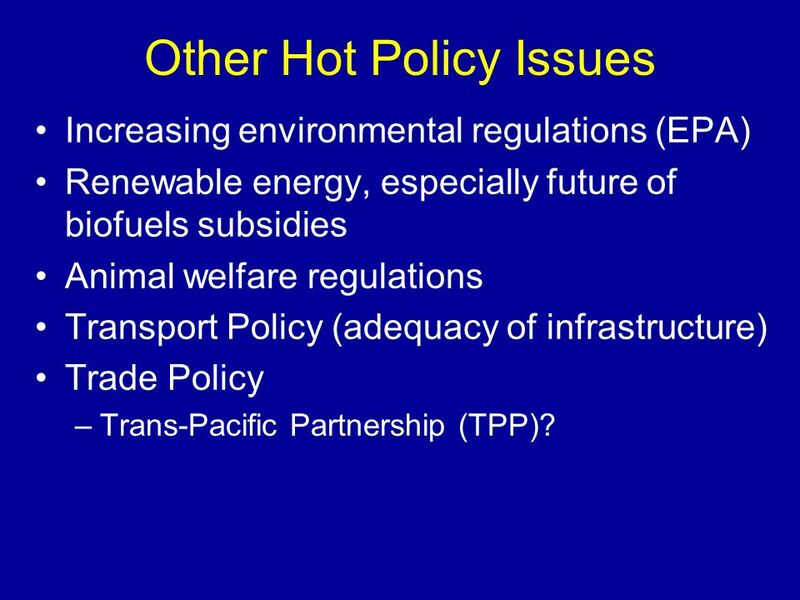 Increasing environmental regulations (EPA) Renewable energy, especially future of biofuels subsidies Animal welfare regulations Transport Policy (adequacy of infrastructure) Trade Policy Trans-Pacific Partnership (TPP)? 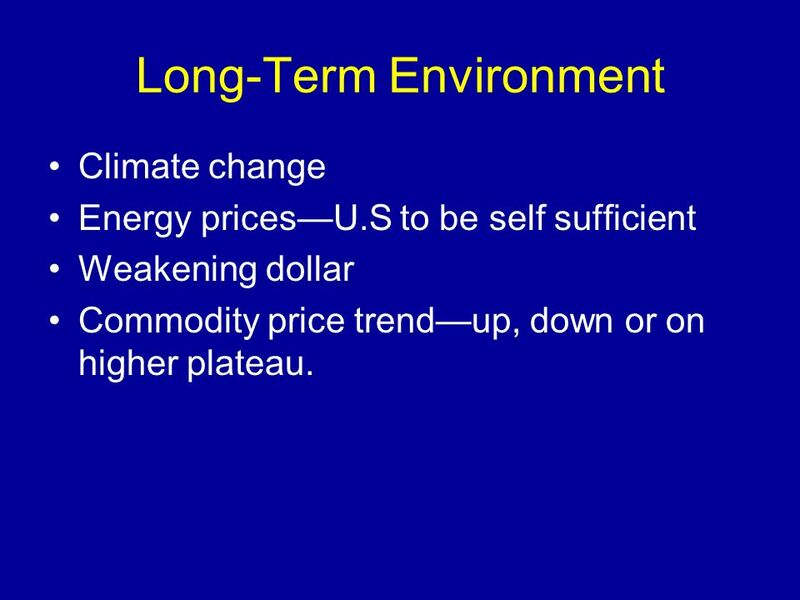 Climate change Energy prices—U.S to be self sufficient Weakening dollar Commodity price trend—up, down or on higher plateau. 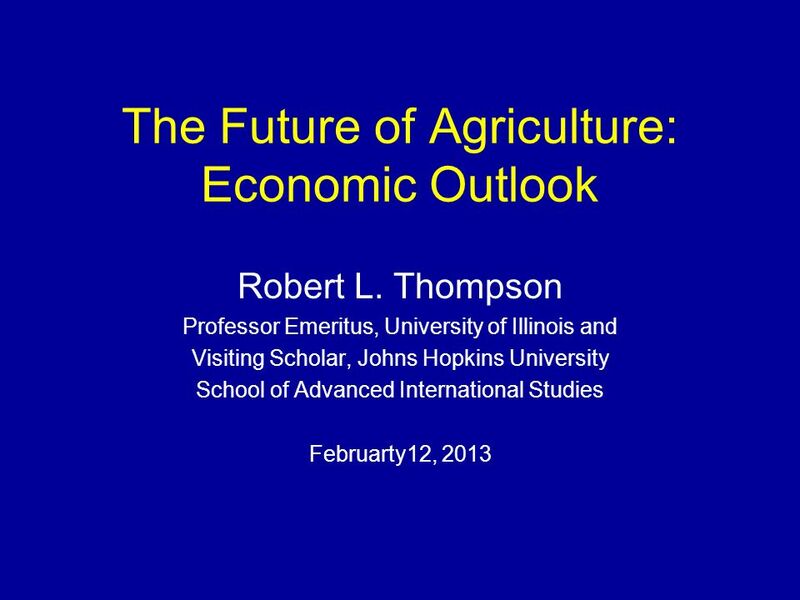 Download ppt "The Future of Agriculture: Economic Outlook"
The Global Food Crisis: Creating an Opportunity for Fairer and More Sustainable Food and Agriculture Systems Worldwide Daniel G. De La Torre Ugarte and. CLITRAVI 50th Annual General Assembly, Portoroz, Slovenia, 8 May 2008 Lars Hoelgaard, Deputy Director-General EU Agriculture in a globalised context. The Farm Bill 2013 Land Values Conference ISPFMRA Nick Paulson University of Illinois. The Economic Importance of North Carolina Animal Agriculture Blake Brown and Kelly Zering Department of Agricultural and Resource Economics North Carolina. 1 Science and Technology in Agriculture – Creating new synergy and stronger partnerships between the World Bank, CGIAR, and NARS Sushma Ganguly, The World. 2014 Farm Bill: Opportunities for Food Policy. 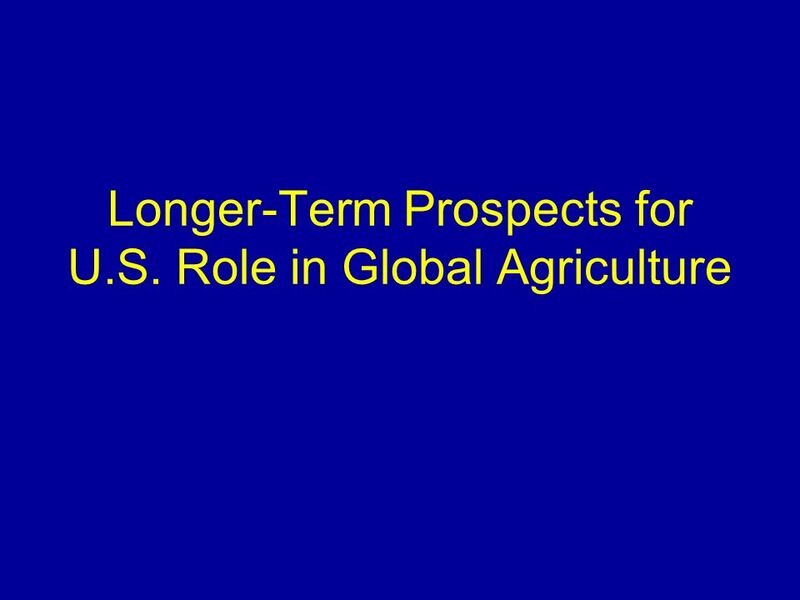 Joe Shultz Chief Economist U.S. Senate Committee on Agriculture, Nutrition and Forestry. 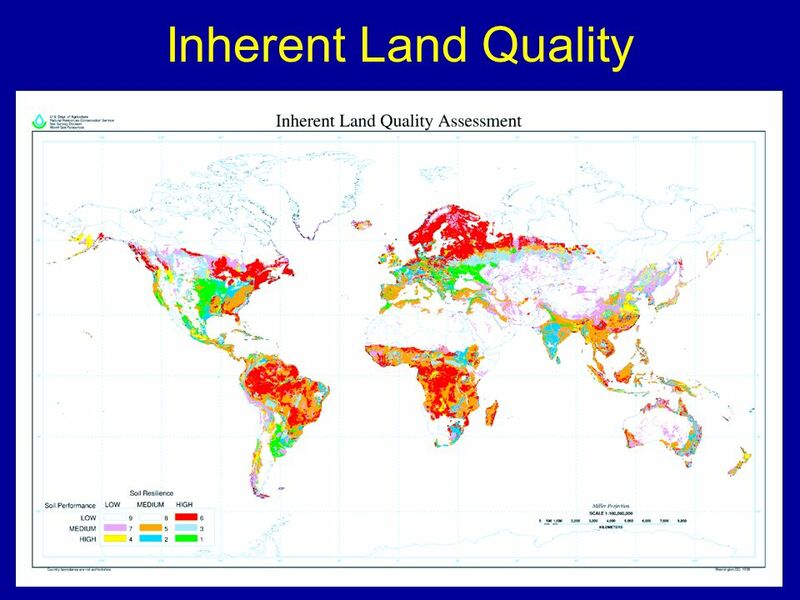 Agricultural Land Use Lori Lynch, Professor Agricultural and Resource Economics University of Maryland. Adopting a Sound Debt Management Strategy : Domestic Against Foreign Sources* by ROBERTO B. TAN Treasurer of the Philippines 13 October 2009 * Presentation. 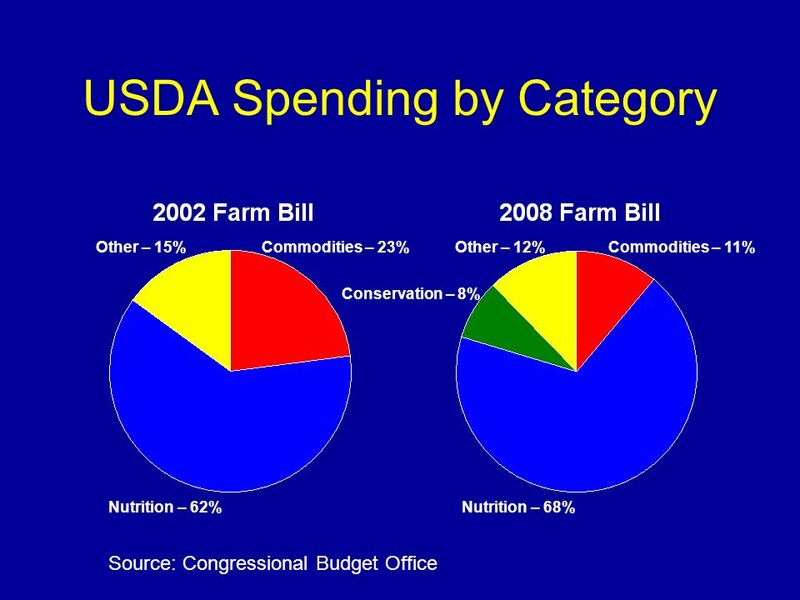 USDA OFFICE OF THE SECRETARY Farm Bill Overview. 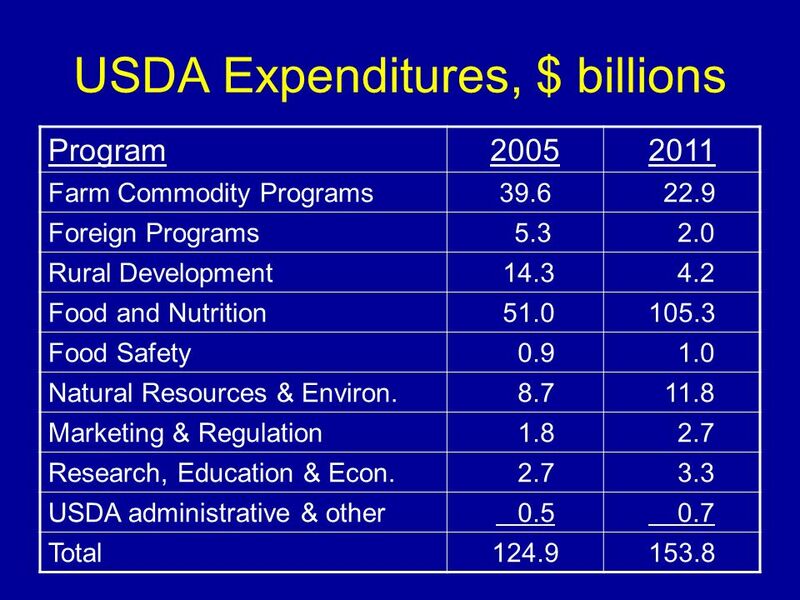 USDA History and Budget. 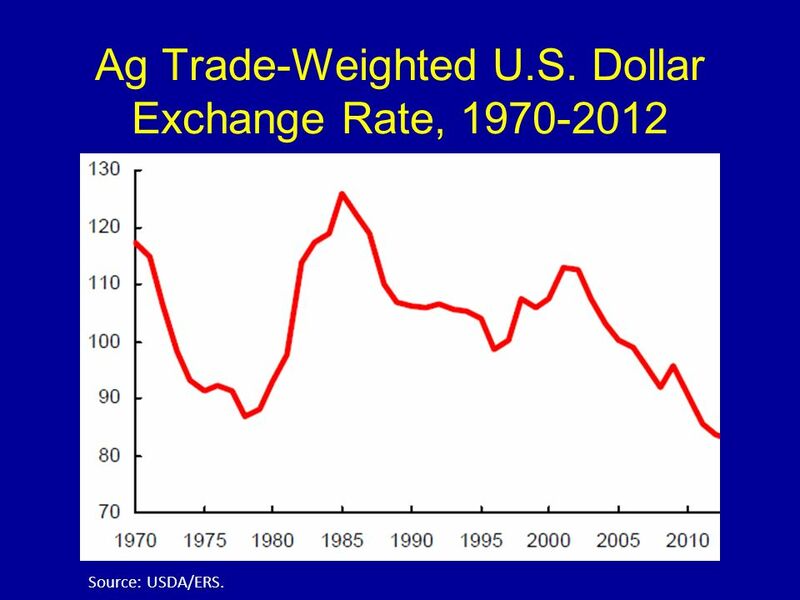 Chart source: Knowledge Exchange Division, CoBank, ACB (confidential and proprietary) 13 th Annual Farmer Cooperatives Convention December 6-7, 2010 Economic. The Next Farm Bill – A Super Farm Bill from the Super Committee? 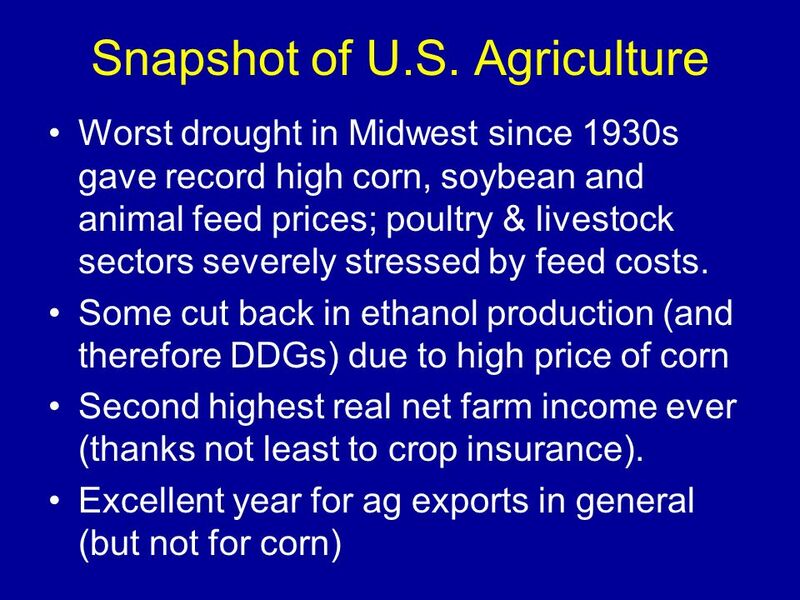 August 15, 2011 Agricultural Extension Midwest Outlook Conference Aleta Botts, University. 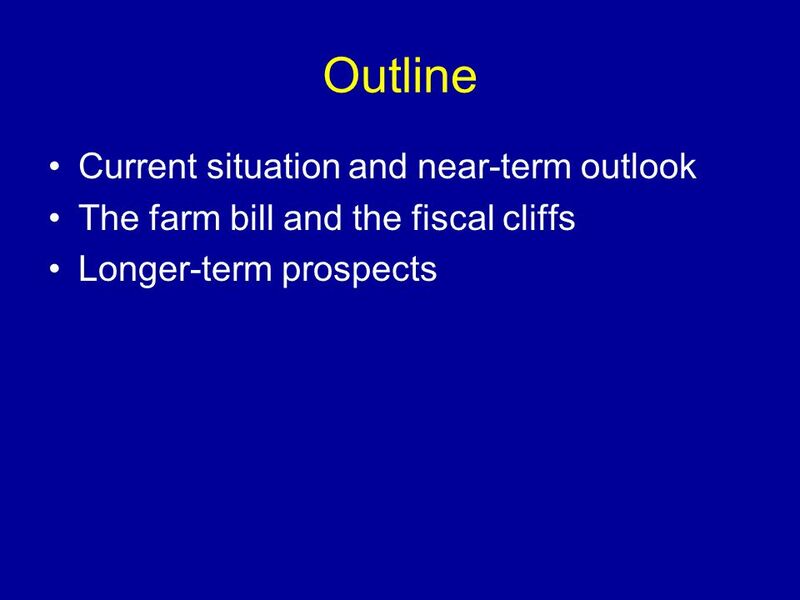 The Agricultural Act of Outline Timeline Budget Policy Issues Commodity Title Risk Management Options Crop Insurance Conservation Programs Questions. Farm Bill Overview Bradley D. Lubben, Ph.D. Extension Assistant Professor, Policy Specialist, and Director, North Central Risk Management Education Center. Structure of the US farm economy EconS350 Fall Semester, 2010.